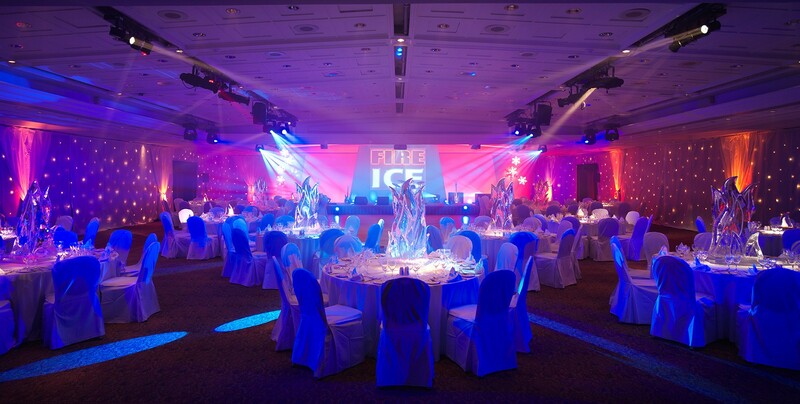 A high end client approached us with the idea to turn their Fire and Ice function room into a dramatic looking room for a corporate event. We provided a compact yet power solution comprising of moving heads, starlights, projectors, pin spots and centerpieces to give the client exactly what they wanted. If you need more help or advice call today to speak to one of our experienced professionals.